Don't let your stomach suffer because you're short on time. 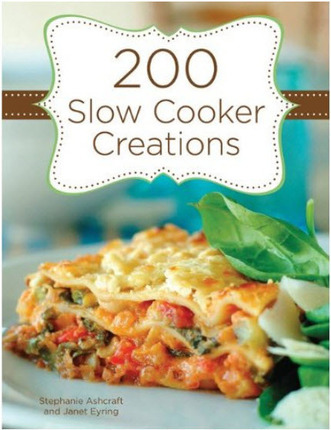 Use one of the many easy recipes in 200 Slow Cooker Creations to create a mouthwatering meal in minutes. Just take 5 minutes to throw a few ingredients in the good ol' slow cooker in the morning and, come dinnertime, your meal will be ready to eat! Look through this extraordinary collection of timesaving recipes for chicken, beef, pork, turkey, and vegetables as well as soups, dips, drinks, and desserts. Let the lip licking begin!